Product prices and availability are accurate as of 2019-04-20 01:46:49 UTC and are subject to change. Any price and availability information displayed on http://www.amazon.com/ at the time of purchase will apply to the purchase of this product. Cal Lighting Has An Exceptional Line Of Quality Products Aimed To Please Even The Most Discerning Of Consumers. 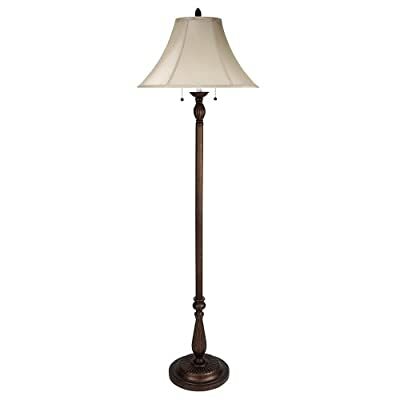 Relish In The Design Of This 1 Light Floor Lamp; From The Details In The Tan Fabric, To The Double Coated Antique Rust Finish, This Floor Lamp Is Not Only Durable, But A Tastefully Elegant Showpiece.